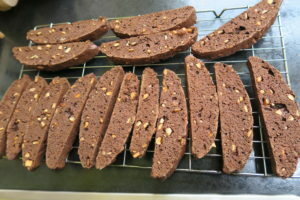 Biscotti is Italian for ‘twice cooked’ as the biscuits are first baked as a log shape, then sliced and baked again until they get super crunchy! 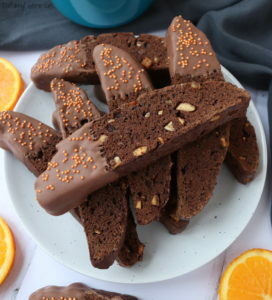 These Chocolate Orange Biscotti are flavoured with cocoa powder, mixed peel and orange zest. I’ve also dipped them in Terry’s chocolate orange! 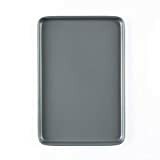 They are great for dunking in hot drinks as they really soak up the liquid. 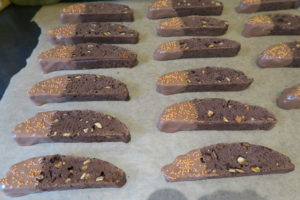 Biscotti do commonly have nuts in them but I’ve made these nut free and just focused on that delicious combination of orange and chocolate! 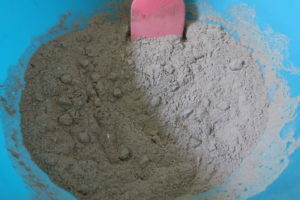 In a mixing bowl I stirred together the flour, baking powder, cocoa powder, salt, sugar, mixed peel and orange zest. 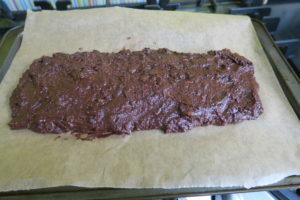 Then I added the eggs and milk and made a log shape on a lined baking tray measuring approximately 35cm long and 10cm wide. I baked it for 30 minutes. 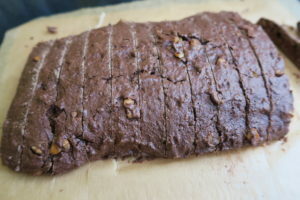 I left it to cool for another 30 minutes, then I used a serrated knife to carefully slice the cooked dough and placed the sliceds onto lined baking trays. 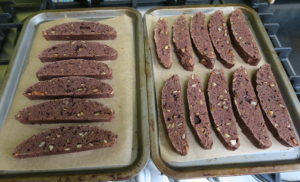 Then I baked the slices again for 30 minutes, turning them over at the 15 minutes mark. 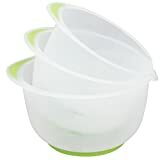 They were nice and crisp and when I pressed them in the middle there was no give. Once the slices were fully cool, I dipped the ends in melted Terry’s Chocolate Orange and added some orange sprinkles. I left them to set on some baking paper. 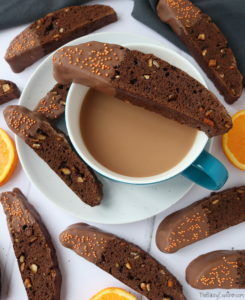 The Chocolate Orange Biscotti were super crunchy and packed with chocolate orange flavour. I’m not a tea and coffee drinker, but I’ve been reliably informed that these are great dunked in tea or coffee! I love them with hot chocolate! You can find more of my Biscuit recipes by clicking here! 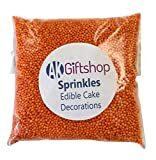 These look really delicious and moreish Kat! Thanks Kerry! 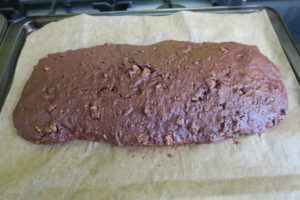 They are super moreish, I've freezed half the batch otherwise they'd all be gone! 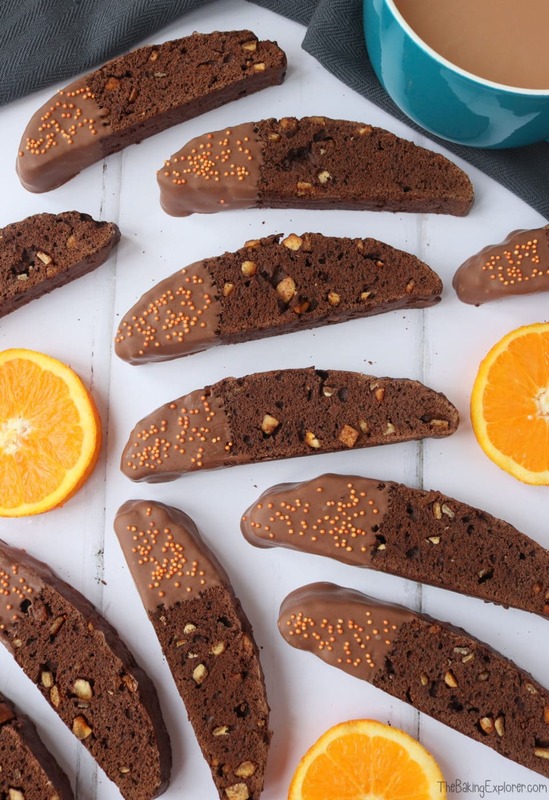 I love biscotti and choc orange – so win win! 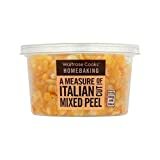 Must be my Italian roots – this looks lovely Kat!